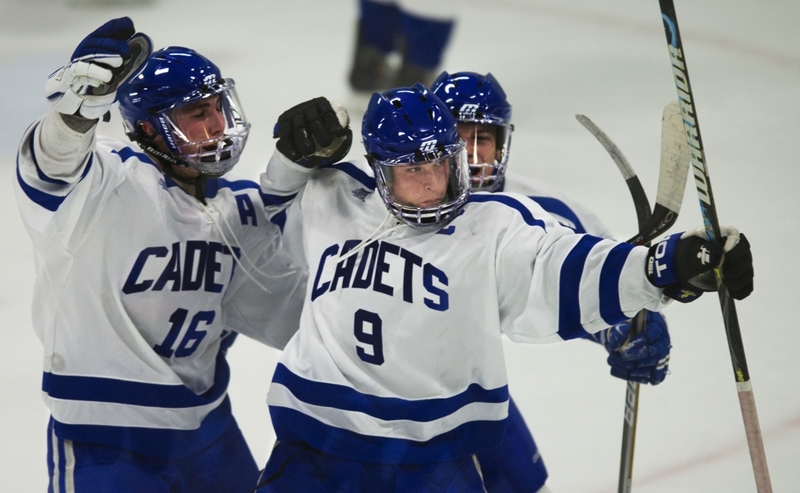 The dispute lasted several minutes, but much to the chagrin of the St. Thomas Academy coaching staff, Cadets players and half of the fans at St. Thomas Arena on Tuesday night, Jared Ridge's goal with 2 minutes, 15 seconds remaining in overtime was ruled true, lifting Minnetonka to a 4-3 road victory over the Cadets. It was the second close goal of the night for the Class 2A, No. 9 Skippers. Erik Baskin's top-shelf rocket with 3:06 left in the second period was likewise questioned by STA as to whether or not it should count. 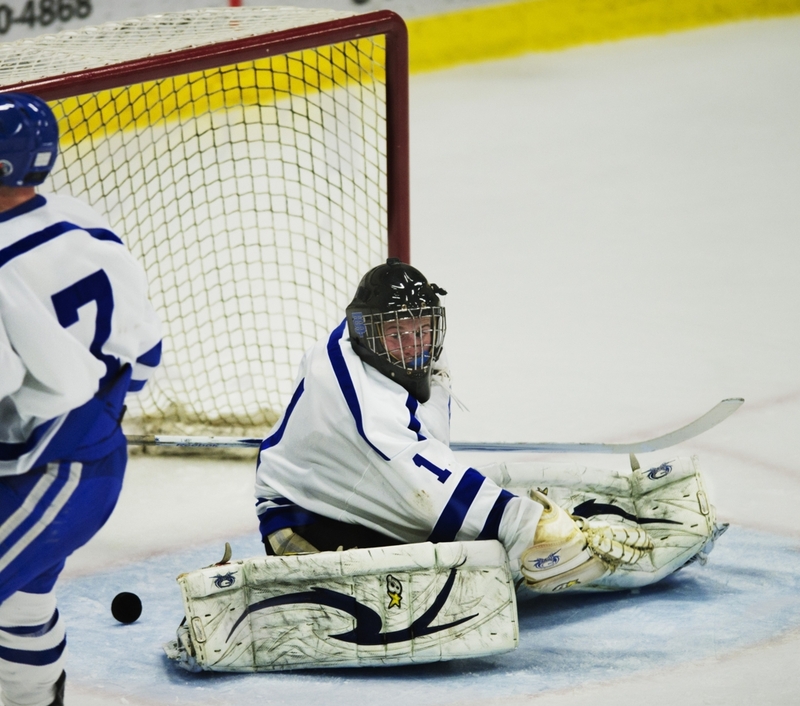 "They don't have to hit the back of the net, they just have to go over the line," Minnetonka coach Brian Urick said. "I was impressed with our guys. That's a skilled team over there on the other side, and I thought our guys held their own." Ridge's goal, his first in a varsity uniform, upstaged a three-point night for Baskin. He put the Skippers (3-0) ahead in the game's opening minutes after an initial shot on goal by linemate Vinni Lettieri spit right to Baskin's stick, and had the assist on Minnetonka's second goal. "This is his third varsity year with us after playing as a freshman and he's finally got some speed," Urick said of Baskin. "Really proud of the way he played tonight. The Class 1A, top-ranked Cadets (1-1) tied the score on A.J. Reid's power-play goal with 40.2 seconds remaining. It was a fitting yet unwelcome way to force overtime for Urick's squad, which took four penalties in the first 12 minutes of the game. That led to a pair of short 5-on-3 opportunities for the Cadets. With 1 second left in the last of those penalties, STA sophomore forward Alex Johnson tied the score. Zach Schroeder then got on the board 1:12 later to put the Cadets ahead after the opening period.